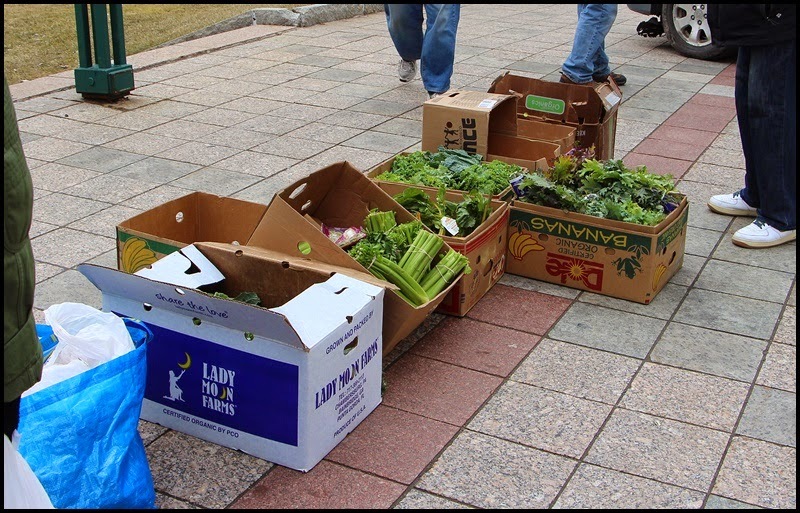 Urban Simplicity: Food Not Bombs! 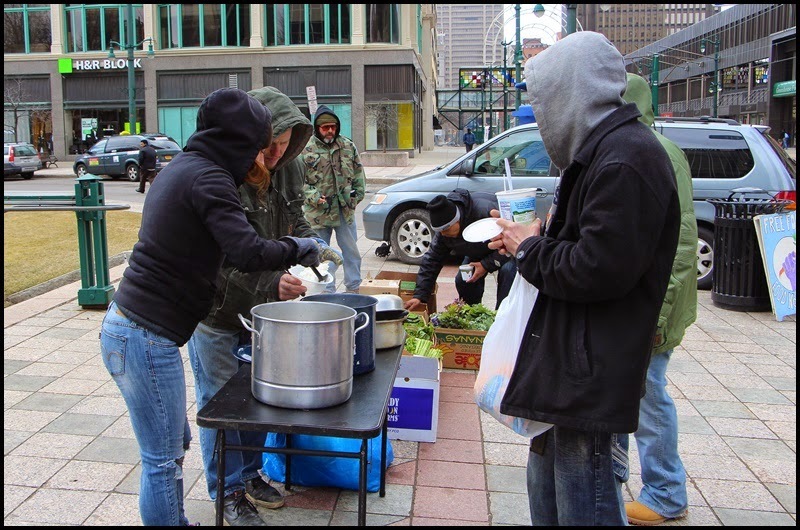 As I rode my bike through downtown this morning I passed the good people from Food Not Bombs offering a free hot meal and free produce to anyone who needs it or would like it. They are in Lafayette Square every Monday and Saturday no matter the weather. With all the negative news in the press these days it is really heartwarming to see good people doing good (and asking nothing for it). For more information about Buffalo Food Not Bombs, click here or here.